After a three-year absence, the Kawasaki KLX250 dual-sport returns for 2018, now equipped with fuel injection. 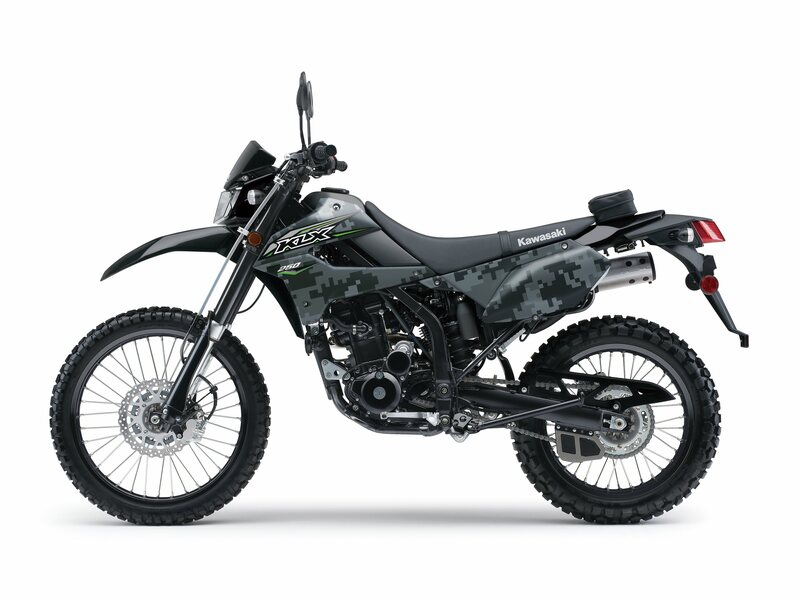 Arriving in showrooms in early October, the 2018 Kawasaki KLX250 is priced at $5,349 for the lime green color, with a special Camo edition priced at $5,549. The Kawasaki Digital Fuel Injection system sprays fuel from a 10-hole injector, with Kawasaki claiming easier starting, smooth idling and improved performance while consuming less fuel. 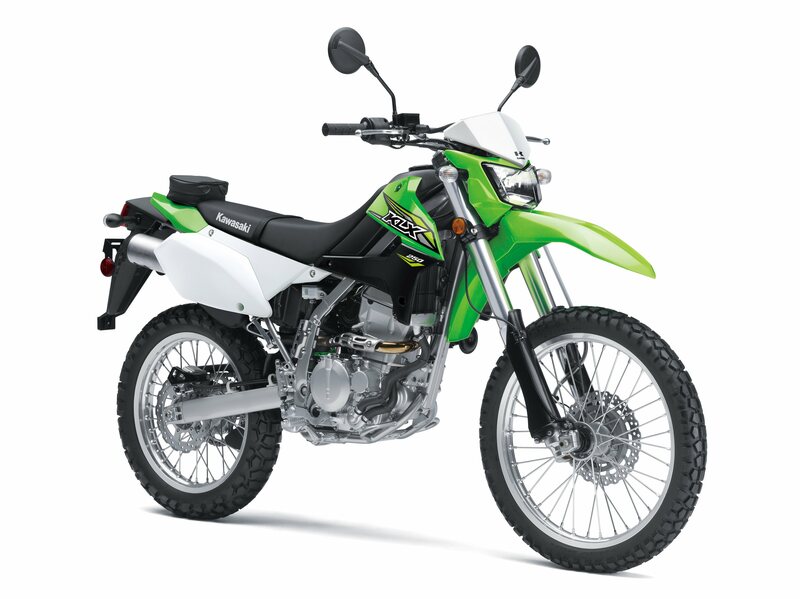 The electrically started 249cc engine is otherwise unchanged from when we last saw the KLX250 in 2014. The engine is paired to a six-speed transmission with a revised shift drum for a firmer feel when shifting gears. The engine is mounted to a box- and tubular-section steel perimeter frame. Up front, a 43mm upside-down cartridge-style fork offers 16-way compression damping adjustment. The gas-charged rear shock has a remote reservoir and offers 16-way compression and rebound damping and fully-adjustable preload. The 21-inch front wheel has 10 inches of travel, while the 18-inch wheel has 9.1 inches of give. A twin-piston caliper is paired to the 250mm front disc while a single-piston caliper is matched with the 240mm rear rotor. Other features include a digital instrument panel with bar-graph tachometer, and a U.S. Forest Service-approved spark arrester, allowing access to designated public riding areas. The KLX250 is also CARB-compliant and legal for the state of California. Claimed curb weight is 304.3 lb. with a full 2.0-gallon fuel tank. Check out our coverage of the 2018 Kawasaki KLX250 from AIMExpo. Front Wheel Travel 10.0 in. Rear Wheel Travel 9.1 in.